Klene Pipe’s model BK-6 hay feeder for cattle is designed to feed large round or big square hay bales in a fence line. No more going into the lot to feed. Not only will the BK-6 cattle hay feeder save hay, it will save you a lot of time and effort. The cattle go through a series of stanchion bars to minimize hay waste and the feeder is designed to connect as many 6’ sections together as you like. Our Big Bale Feeder Model BK-6 cattle hay feeder is built so you can feed any type of feed that you desire. It was designed to save a tremendous amount of hay and a great deal of time. To use, just put the feeder in the fence row and load it full. 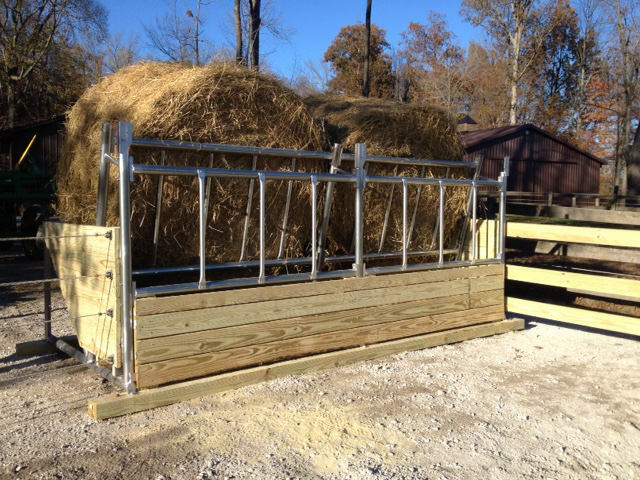 A ramp extends back 4′ (we have extensions to make it 6′ for long round bales) and the cattle go through a series of stanchion bars to maximize the hay savings. 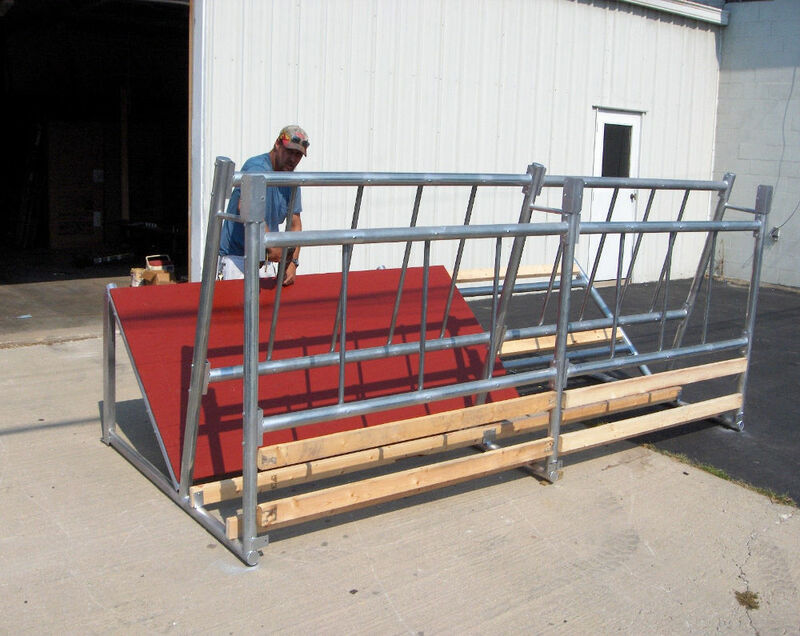 In addition to being a stand-along hay feeder, this cattle feeder was also designed to hook together as many units that you would like. If you line up 150 feet of this feeder you could feed 24, 1,500 lb hay bales at a time. The heavy angles on the feeder are welded on, so you can attach a post to go up for a roof. These bunks are sold as frame only; a minimal amount of lumber is required to finish the bunk. It includes brackets to attach a roof. Saves a tremendous amount of hay and your time! The BK-6 is sold as frame only. A minimal amount of lumber is needed to finish the bunk.